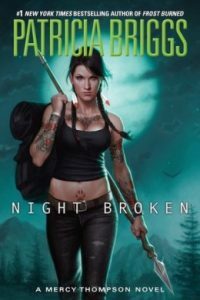 I have such an ongoing love fest with Patricia Briggs’ writing. 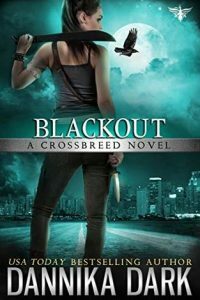 Charles and Anna are one of the best Urban Fantasy couples out there and their story is compelling. They have grown as individuals, as a romantic couple and a working partnership. 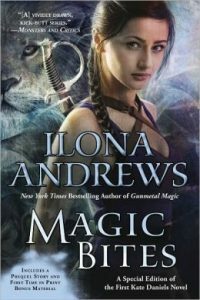 Their story is told in such a way that though they are supernaturals and go up against other supernaturals, their humanity is what draws me in close to understand them. 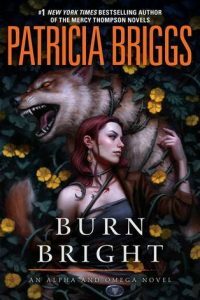 I feel Charles’ issues with his greater age and with the weariness of his work and with unworthiness of his good mate and also Anna’s ongoing struggle against the darkness of her past and accepting what she has become as a werewolf and what she is as an Omega. By this book, they have come into their own as a couple and the story was just a flavorful thing to devour and enjoy. This is a series that is best enjoyed in order because even though the main action plot doesn’t carry over, the series arc and character story development does. The story begins some time after the events of Fair Game (bk 3) and as is the general way of things starts with a simple thing. Charles decides that he needs to see his human friend, Joseph, because Joseph is old and it has been a long time. In the process of visiting Joseph down in Arizona, he will take Anna and let her choose one of Joseph’s prize Arabian horses as a birthday present. Not long after they arrive, they are met with a fae problem. 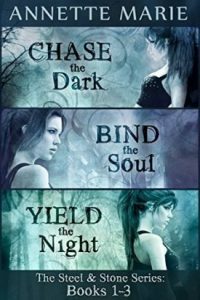 A powerful fae has been unleashed in the area with a taste for children and the creature’s appetite has led it close to home for Joseph’s family and the local werewolves. 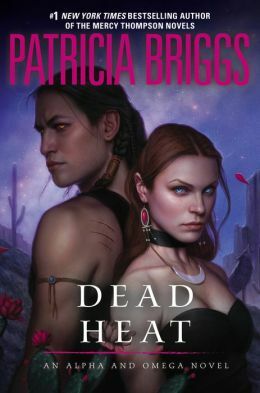 Charles’ participation in the hunt as a lethal alpha wolf with Native magic is understood, but the locals soon learn the power and strength of an Omega too when Anna wades in right beside her mate to save the latest of the children taken and prevent another from being grabbed. She is there to strengthen and help Joseph’s family and stand beside Charles as he is with his old friend in his last days. The mated pair also quietly embrace the comfort and love of each other while considering an important private matter. 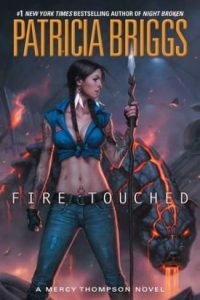 But where fae are involved, things get dark, dangerous and startling so that it takes everyone working together to save the day. I have only praise for this book. Oh granted, its not as intense as others have been in the series when it comes to the action and suspense sequences, but its not lacking in those things either. I found it balanced and well rounded in its storytelling. It has a smooth quality that scintillating and mature writing can bring. There are descriptive moments when it comes to the social moors, legends, and myths of the Navaho culture, to the gaps filled in from Charles’ past, the fantastic descriptions of the horse breeding, showing and training world and of course to further character and relationship development for Charles and Anna. They love and are in love. They are pondering a change in their relationship, but it is handled as adults who know and love each other- who trust and are giving. So refreshing, that. I think another fascinating scene was when Charles was put into the tight spot of having to change a human to werewolf when she is dying and all the ramifications of that. For the first time there is an up close and personal of a person made a werewolf and holy snikies that is not something done lightly on both the part of the werewolf doing the change and the human undergoing it. Charles isn’t easy in his choice and others definitely aren’t so it was a moving thing. Anna is aware that Charles considers himself a monster and a person that people recoil from in fright, but she tries to make him see himself as she sees him, as others who have been victims see him- a valiant protector. All in all, this latest installment in the series was a treasure that I savored and was disappointed when I had to close the last page. 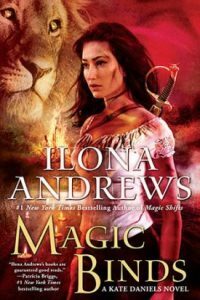 I always try to pace myself so it’s not over too quickly and yet, the hot intensity of Charles and the sunny delight that is Anna involved in a new adventure makes me devour their story in one gulp. 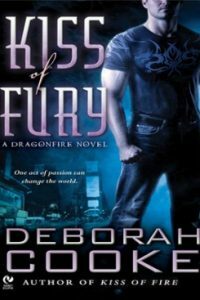 Urban Fantasy fans really can’t claim the name of fan until they’ve read at least one Charles and Anna (okay, or a Mercy Thompson) story. I’m kidding about that last part- sorta, but I do strongly urge people try these. My thanks to Penguin Group and Net Galley for the opportunity to read this story in exchange for an honest review. 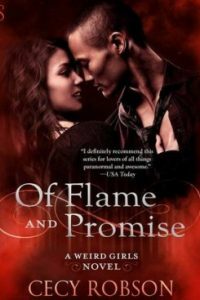 This series is about a mated pair of protagonists and they are one of my favorite Urban Fantasy couples. What is your favorite UF couple or couples? Phewww, what a review, I do need to read this !!! Yes, you do, Iza! Clear your schedule b/c you’ll binge on these. Oh yes! You will totally devour these one after the next. Her world is so amazing. Each new encounter introduces a new supernatural issue or take on an old legend. Gah she just writes amazing books doesn’t she? 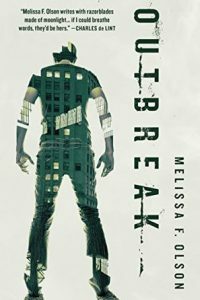 I read the first in this series but haven’t gotten back to them. I’m seriously going to have to soon I think. Yep, you do. 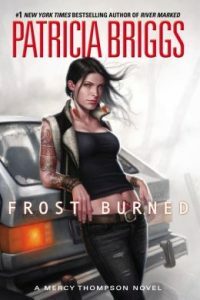 I don’t normally twist arms b/c we all have tons of books that scream for our attention, but I adores Patricia Briggs and can’t help getting pushy. Haha! Sounds like a really good series. 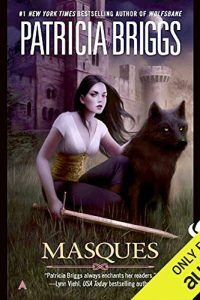 So glad I read this review because I hadn’t heard about this series before. Also really love that cover. Oh Mary, you really, really must give these a try. Personally, I would recommend starting with the Mercy Thompson series book one, Moon Called. Totally love the covers on these books. Daniel DeSantos is a terrific, talented artist. Great to hear that this series continues to be enjoyable with good character relationship growth.